Following a series of reports in The Algemeiner about three faculty members who espouse anti-Israel and anti-Semitic views, Rutgers University President Robert Barchi responded by defending their statements as an issue of academic freedom and dismissed The Algemeinter, TapInto, a local news website, reported last week. The faculty in question are women's studies professor Jasbir Puar, microbiology professor Michael Chikindas, and adjunct professor of international law Mazen Adi. Adi, had, as recently as 2014, been a legal adviser to the Assad regime in Syria, which has been accused of committing war crimes against the civilian population of that country. A month ago, The Algemeiner's Shiri Moshe reported that in a soon-to-be-published book Puar charges that Israeli soldiers deliberately wound Palestinians, instead of killing them thus "creating injury and maintaining Palestinian populations as perpetually debilitated, and yet alive, in order to control them." Last year Puar was the subject of controversy when she promoted a conspiracy theory that Israel harvested the organs of Palestinian terrorists at a talk at Vassar. She also threatened to sue anyone who recorded the talk. 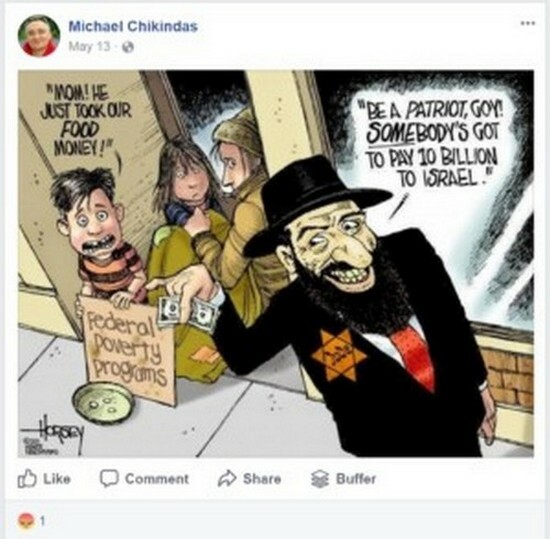 Two days later Moshe reported on Chikindas, who has posted anti-Semitic material to his Facebook page and called Judaism "the most racist religion in the world." Moshe reported earlier this month, that while serving in the United Nations, Adi charged that "international gangs led by some Israeli officials are now trafficking children's organs." Rutgers officials subsequently defended hiring someone who was a member of a regime that had gassed its own people, explaining that Adi was hired because of "his expertise in international law and diplomacy, and other fields." "We're fully aware of his past, having vetted his employment credentials," Barchi said of Adi at the townhall meeting. "Everything is absolutely in order." Dovid Efune, editor-in-chief of The Algemeiner wrote Tuesday, that, at the meeting, Barchi also disparaged The Algemeiner as "a blog out of New York, which is the follow-on to what was a Yiddish-language newspaper that folded 10 years ago." In fact, The Algemeiner has been publishing a print edition, featuring both articles in both Yiddish and English, for the past 40 years and has never gone out of business. Efune lamented that Barchi "spent more time praising the employees in question than he did explaining to students why their views are deeply problematic."